The House of Representatives voted on Thursday on a resolution condemning bigotry and hate. 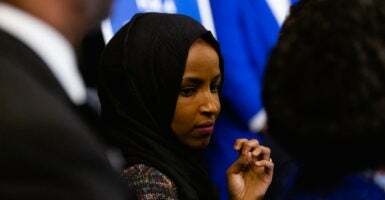 The resolution was spurred by the recent remarks of freshman Rep. Ilhan Omar, D-Minn, which questioned the loyalty of Jews to the United States. Both her anti-Semitic statements and broader views of religious freedom deserve examination. The Center for American Progress recently called Omar “a champion of religious freedom.” At an event entitled “Reclaiming Religious Freedom,” Omar urged the need for “freedom, liberty, and justice for all” and bemoaned the fact that some groups in America don’t fully experience these. She is correct on that point. All Americans should be free to live according to their faiths without fear of government hostility, in public as well as in private—regardless of whether their beliefs are shared by elected officials. But the promise of such depends, in large measure, upon government officials demonstrating respect for the freedom of all citizens to peacefully live according to their beliefs. Unfortunately, Omar’s own words and actions undermine progress toward religious freedom and justice for all. Omar’s anti-Semitic comments suggesting that Jewish-American politicians are bought and paid for by the government of Israel have drawn rebuke from both Democrats and Republicans. Omar tweeted last month, “It’s all about the Benjamins baby”—a reference to $100 bills. 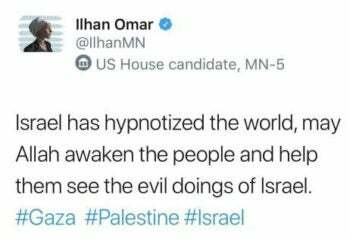 She went on to state her belief that the American Israel Public Affairs Committee pays Jewish-American members of Congress to take pro-Israel stances. Omar has also voiced her support for the boycott, divestment and sanctions movement (BDS) that aims to change Israeli policy toward the Palestinian population through economic pressure. Anti-Semitism is religious prejudice. Jews have a multifaceted identity that includes culture, ethnicity, and religion. And while many Jews are secular, anti-Semitism targets Jews as a whole and helps foment hostility toward Jewish religious beliefs, practices, and identity. It is no coincidence that the anti-Semitic terrorist who took the lives of 11 Jews at the Tree of Life synagogue outside Pittsburgh chose to attack them at their house of prayer on the Sabbath—a day set aside for rest, religious observance, and celebration. Unfortunately, anti-Semitism is on the rise not only around the world, but also in the United States. The Anti-Defamation League reported a 60 percent increase in anti-Semitic attacks in 2017. The FBI also recorded that Jews were the most targeted group for religious hate crimes. Of the 1,749 victims of anti-religious hate crimes, 58.1 percent were “victims of crimes motivated by their offenders’ anti-Jewish bias”—even though Jews represent only 2.2 percent of the American population. When a member of Congress suggests that a religious group has dual loyalty to an external power, it creates a chilling effect for all members of the community to express their identity in public. 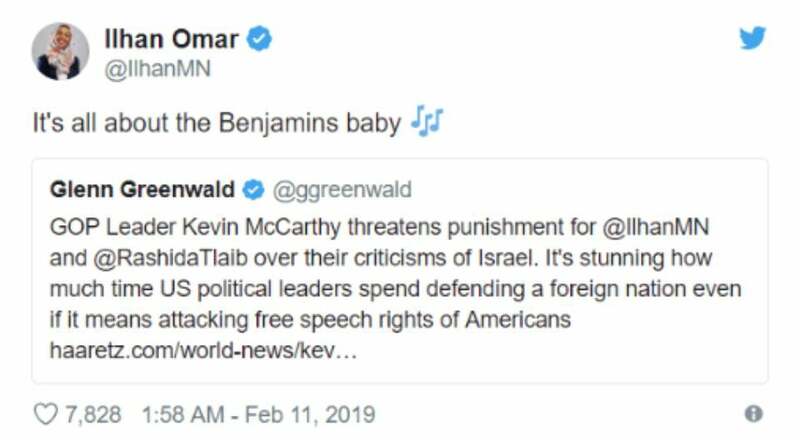 That was true in the 1960s when critics accused John F. Kennedy of dual loyalty to the Vatican, and it would be true if Omar were accused of dual loyalty to Muslim governments. Every person of faith, every person who cares about religious freedom, and every member of Congress should stand up and speak out against anti-Semitism. World history shows that prejudice toward Jews is not easily contained, but can quickly spread. Expressions of religious prejudice from government officials can foment religious bigotry within society as a whole, and an attitude of “religious freedom for me, but not for thee.” Omar’s anti-Semitic statements reveal a dangerously misguided understanding of religious freedom. At the beginning of this congressional term, the House changed its ban on headwear in the House gallery. Omar was the catalyst for that change. It enables her to continue her Muslim practice of wearing a hijab while serving in public office. 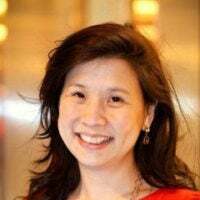 At the Center for American Progress, she stated that she “visually presents her faith.” But she then undermined her view by denouncing the freedom of Christian adoption agencies to serve according to their religious beliefs. Omar was referring to the decision of the Department of Health and Human Services to grant a waiver to the state of South Carolina that enabled Miracle Hill Ministries to continue serving foster children. The waiver, issued under the Obama administration, allows Miracle Hill and other religious agencies to place foster children with parents that share their own faith. The Constitution protects this freedom as central to religious liberty. And it is a freedom that reflects religious solidarity—not a rejection of outsiders. America is currently struggling with a shortage of foster parents to care for the more than 437,500 children on the waiting list. Government authorities need help from a broad diversity of agencies in meeting this need. Secular and religious child welfare agencies play distinct roles. Faith-based agencies are uniquely suited to recruit families from their own communities—whether Christians, Jewish, or Muslim—and to provide these loving families with spiritual care and support. But an understanding of religious freedom that is limited to visual representation is remarkably impoverished. Religious freedom is more than wearing a hijab or carrying a rosary. It extends beyond prayer rugs and pews. Our Constitution protects our freedom to work and to serve according to our faiths in the public square. In stark contrast to Omar, another Democratic congresswoman has courageously spoken up for religious freedom for all Americans, including in the workplace. When Sens. Kamala Harris, D-Calif., and Mazie Hirono, D-Hawaii, questioned a Nebraska judicial nominee about his fitness to serve because of his membership in the Knights of Columbus, Rep. Tulsi Gabbard, D-Hawaii, a practicing Hindu, rose to his defense. She criticized the inquiries into his membership in the Catholic service organization citing Article VI of the Constitution, which bars “religious tests” for those seeking public office. Amid the growing confusion in Congress over the constitutionality of religious tests, Gabbard’s voice was a welcome call for equal treatment and the freedom to live according to our beliefs in every sphere, not just in worship. Our commitments to religious freedom are most deeply tested when we are asked to protect the freedom of those whose beliefs are different from our own. Omar’s anti-Semitism, impoverished view of religious freedom, and intolerance toward religious differences must not become the new normal in Congress—or anywhere. As Democrats and Republicans settle into their roles in the 116th Congress, our representatives should work to fulfill the promise of religious freedom for all Americans.